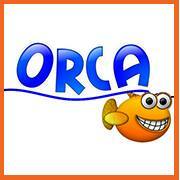 The Orca Charitable LBG was formed in August 2015 and continues the aims of the The Orca Charitable Trust which was terminated in 2015. The company provides financial assistance to performing arts students. The company aims to help young people achieve their goals through the performing arts. Three directors who are also guarantee members, a company secretary and a committee comprising of five other members. Orca hosts an annual fundraiser at Beau Sejour and adhoc fundraising events e.g. quiz nights.